Bali® 2 3/8" Northern Heights Wood Blinds: Fauxwood or Faux Blinds, shutters and window coverings. 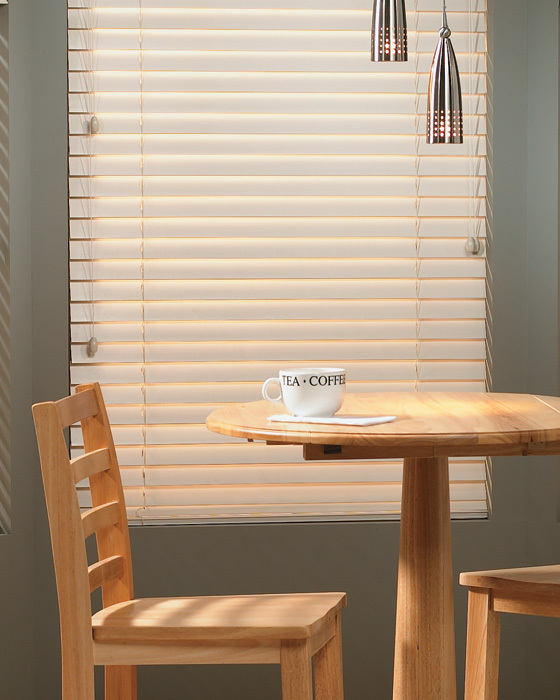 2 3/8" Northern Heights Wood Blinds feature extra-large slats that provide a superior view to the outside when open. Rich, warm Wood Blinds are among the most environmentally sound, energy-efficient window coverings available. 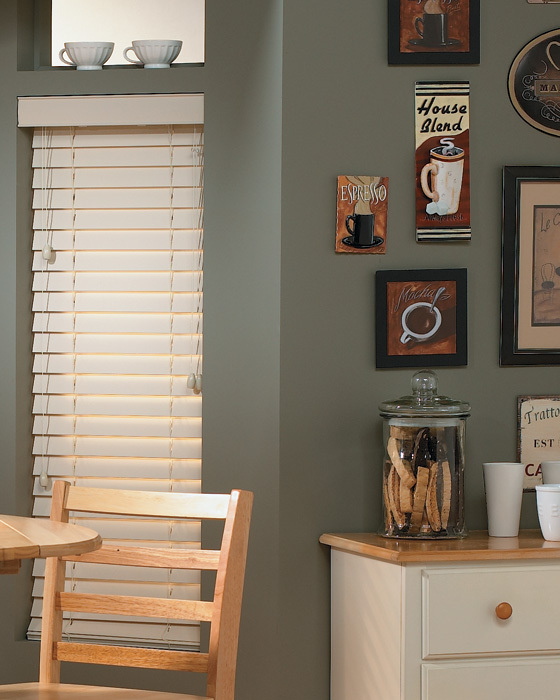 Coordinate with Wood Vertical Blinds to create a unified look in your home. For Fabric Tapes add 20% to base price. Cloth tapes or Fabric Tapes are decorative accents that cover rout holes to increase privacy and light control. Choose NoHoles to increase your privacy and light-control levels. A patented design eliminates rout holes in slats to protect your privacy in bedrooms and bathrooms and block light in home offices and media rooms. Eliminating rout holes reduces visual distraction for a cleaner look. 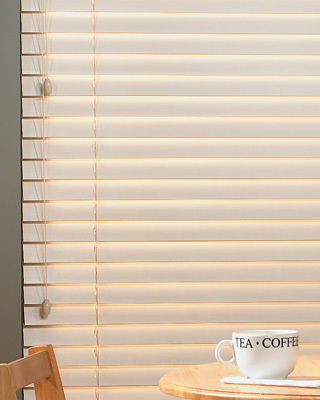 Standard on 2" Northern Heights™ Wood Blinds with cordless lift. Attractive 2 1/2" valance features a clean, simple profile. Standard valance makes a great finishing touch for Wood and Faux Wood Blinds alike. The clean, simple profile of this 3 1/2" wood valance adds a classy finishing touch without drawing attention away from your blinds. This 4 1/2" wood valance features attractively contoured lines that complement virtually any molding style. This standard control uses two color-coordinated cords instead of a wand to tilt the blind. Cords include color-coordinated tassels.